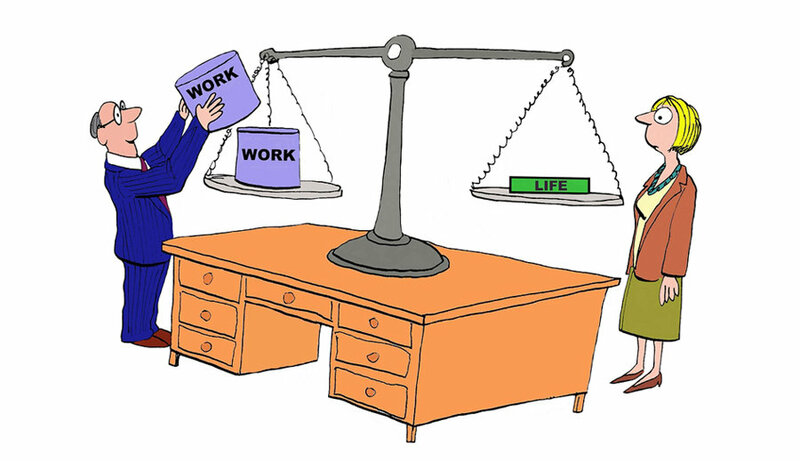 The Work Life Balance Decision. If you run a small or medium business, chances are that you will sometimes struggle to maintain a proper work life balance. It happens to all of us at some stage. When we are in the office, we are constantly in motion and the day gets extended at both ends, as business pressures demand more of our time. This can often be compounded by the harsh reality that when we are at home, our minds are still in the office. This is not fair to our loved ones and it is certainly not being fair to ourselves. The harder we work, the more unbalanced our lives become and this can become a cycle of unrepentant misery and guilt. The real challenge is to be able to take a helicopter view of your situation and to recognize what is happening. You may believe that you are working your socks off to benefit your family and to secure your future. However, your family may not care too much about the material benefits you deliver and simply want more of you and your time. The problem with incessant work is that we often become stale and our judgment can become clouded. This can lead to poor decision-making and debilitating fatigue. The longer you are caught up in this cycle, the longer it will take you to break the habit and develop fresh perspective. So how can you address this unhealthy imbalance? Well, one way to improve things is to start scheduling your leisure time in much the same way as you schedule business activities and appointments. Divide your entire week into segments and book time in your calendar for family activities, not just work activities. Don’t forget to book time for personal activities as well. We all need time and space to unwind. It may involve a trip to the gym several times per week or a few beers with friends. It might even be date nights with your partner. Remember that a proper work life balance is important to your physical and mental health. Using the suggestions in this article can significantly increase your productivity, while leaving plenty of free time to enjoy your family and your life.